Published: April 18, 2015 at 03:57 p.m. Updated: April 19, 2015 at 10:57 a.m.
Marcedes Lewis has been part of the Jaguars since 2006. That isn't about to change. 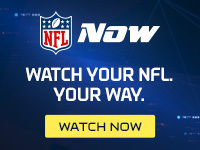 NFL Media Insider Ian Rapoport reported Saturday that the veteran tight end agreed to restructure the final year of his contract, per a source informed of the situation. Terms of the deal weren't made available, but the redone pact was not an extension. The move lifts Lewis off the trade block after Rapoport noted in March that teams had inquired about swapping for the 30-year-old target who accounted for just 18 catches over eight games last season. Previously scheduled to earn $6.65 million this season with a cap figure of $8.2 million, the renegotiated contract is likely to open up salary space for a Jaguars team that added veteran center Stefen Wisniewski on Saturday with a one-year deal worth $2.5 million. "I'm pumped to be a part of something exciting and be a big part of it," Lewis said, per Ryan O'Halloran of The Florida Times-Union. After signing premier pass-catcher Julius Thomas in March, Jacksonville now houses one of the AFC's better tight end pairings. If their offensive line can do a better job protecting the pocket this season, young passer Blake Bortles could be staring down a promising second campaign in the AFC South.